Cat scratching post. 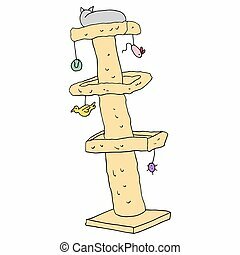 An image of a cats playing in a tall scratching post tree. 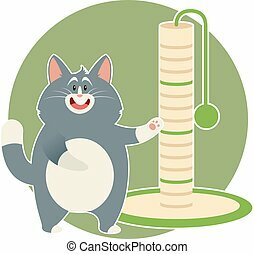 An image of a cats playing in a tall scratching post tree. Illustration, what made by ink, then it was digitalized. 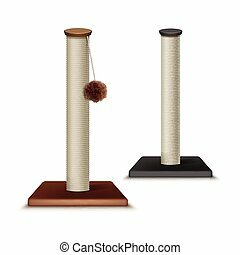 Scratching post icon. Flat vector related icon for web and mobile applications. It can be used as - logo, pictogram, icon, infographic element. Vector Illustration. 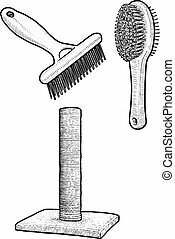 Scratching post icon. Line flat vector related icon for web and mobile applications. It can be used as - pictogram, icon, infographic element. Vector Illustration. 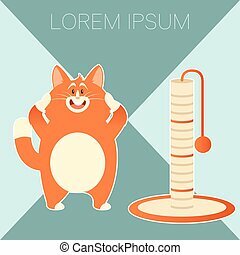 Scratching post icon vector. Flat icon isolated on the white background. Editable EPS file. Vector illustration. An image of a Cat Scratching Post button set. 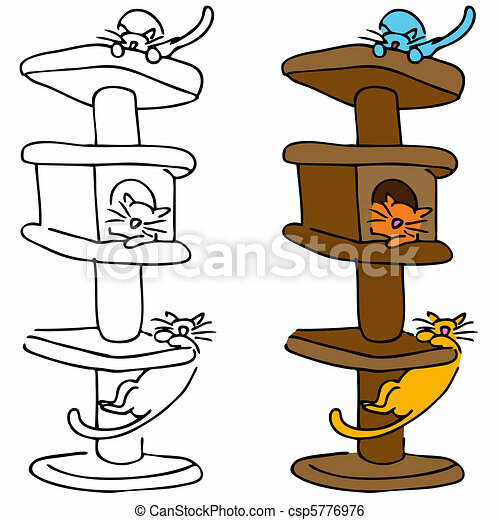 An image of a cat tree with toys. 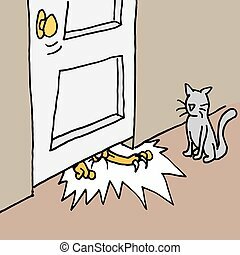 An image of a cat pawing under the door.